That’s right sports fans. We went into orbit. 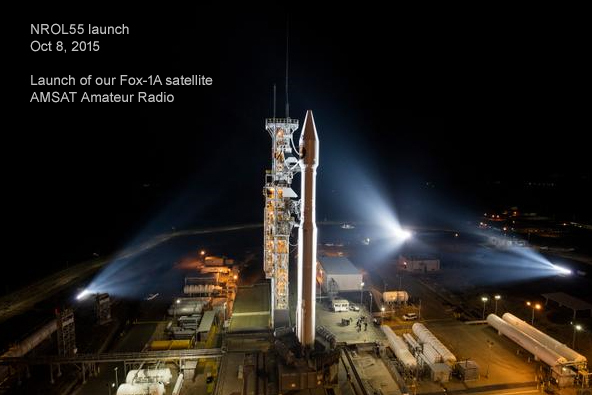 Our Amateur Radio satellite, Fox-1A (now officially AO-85), hitched a ride on #NROL55 this morning out of Vandenberg Air Force Base. Anyone with a ham radio license can utilize the transceiver on board the satellite, at least once we complete testing and confirm full functionality. The satellite is currently transmitting telemetry. VHF downlink: 145.980 MHz. This is the frequency on which you listen.